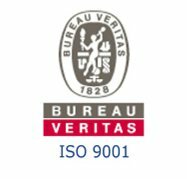 On 22 September Enersea B.V. has received the ISO 9001 certificate for its Quality Management System. Consultancy, design, engineering and project management for the on/offshore oil & gas and renewable sector and awarded Enersea with the ISO 9001:2015 certificate. “We have already been working according to these procedures as of our start in 2015. This formal accreditation by an official auditor is a confirmation of the focus we have and will continue to have on our quality management system.” states managing director and consultant Pascal Ferier.